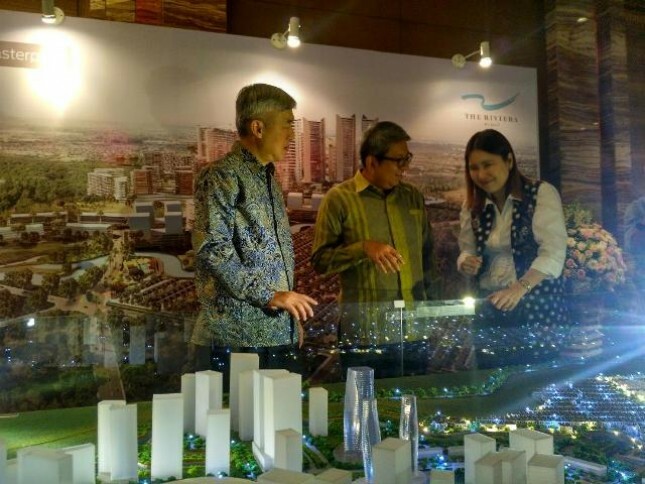 INDUSTRY.co.id - Jakarta - Collaboration of PT Metropolitan Land Tbk (Metland) with Keppel Land Limited (Keppel Land) in residential project The Riviera at Puri recorded significant sales. In the first phase of the sale of the residential project managed to record a value of over Rp 400 billion. Overall, Metland targets the sale of The Riviera at Puri to reach Rp 1.5 trillion. The Riviera at Puri is a joint operation (JO) project between Metland and Keppel Land built on 12 hectares of land (ha). The project is located in Tangerang and features easy access to Jakarta's central business district and Soekarno Hatta International Airport. The location is located in an area near the CBD Puri area of ​​West Jakarta, adjacent to Metland Cyber ​​City which is currently under construction. Until now, the process of landed projects targeting the upper segment already includes the construction of piles and is expected to be completed and handed over to buyers by 2019. Olivia Surodjo, Director of Metland said, since the first launch in November 2017, there are 164 units that have been sold. This amount, she said exceeds the number of units provided during the first launch which reached 140 units with a price range of Rp 2 billion to Rp 2.8 billion. "From 140 units, the demand is high, and today it is only 151 units in one day, and because there is still a lot of demand until the end of the year, we finally sell 13 units, bringing the total 164 units sold until the end of the year," Olivia said in Jakarta , Thursday (15/3). Olivia said, the sales value of all units in the first phase reached more than Rp 400 billion.